The small dining room has space for just six tables, and each looks out to the great lake Nahuel Huapi. The surprising, contemporary menu is constantly changing. Hua Huan 7831; www.thebutterflygroup.com.ar. This institution was founded in 1950 by musicians and now holds arts, music and culture courses and seminars by the best Latin American artists. www.campingmusicalbche.org.ar. Bariloche's Civic Center is a charming stone-and-wood complex that houses most municipal offices and tourism services. Built in 1940, it was inspired by the architecture of Bern, Switzerland. Centro Civico, 8400 San Carlos de Bariloche; (54-2) 944-423-022. If the weather is clear, climb or hop the chairlift to the top of Cerro Campanario to take in the stunning view of deep-blue lakes set against dense forests and majestic snow-capped peaks: this is Patagonia in all its splendor. Av. Bustillo Km.17; www.cerrocampanario.com.ar. Cerro Catedral mountain is one of South America's best ski resorts, as well as a paradise for hikers and climbers. Cerro Otto, reachable by funicular, car, mountain bike or on foot, has family-friendly activities like snowshoeing and tobogganing. From Panoramic Point you can see the picturesque Nahuel Huapi and Moreno lakes. Here, you’ll find all sorts of local products, including smoked cheeses, meats and fish (look for wild boar and venison), craft beers and fine chocolates to take home. This boat trip heads to Puerto Blest at the far west of Nahuel Huapi Lake, sailing through classic fjords and exuberant vegetation known as the Valdivian Forest. From this point, there is a lovely hike up to a wide cascade and peaceful mountain lake, with a giant "alerce" tree next door that's more than 1,200 years old. Cerro Catedral is a pioneer in the South American ski industry, with 53 sign-posted trails of various difficulties at 6,500 feet (2,000 meters) above sea level. www.catedralaltapatagonia.com. Take a full-day trek to one of the area’s refugios (mountain huts) and back. Refugio Frey lies at 5,577 feet (1,700 meters). To get to Refugio Negra, you hike through a forest with a magnificent lake. Refugio Lopez and Cerro Lopez also offer incredible views. www.trekbariloche.com. 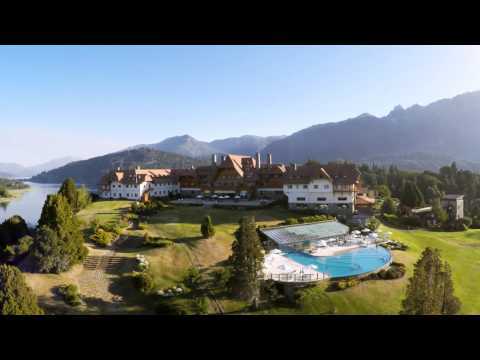 This beautiful mountain village is located in the South of the province of Neuquén, right in the heart of the lakes of the Nahuel Huapi National Park. It holds the Arrayanes National Park, the only place in the world to find pure myrtle wood. オーナー 情報: Llao Llao Resorts S.A.